Adidas SLVR Marla in Black. An Adidas SLVR original. Imported. Women’s shoes. This adidas SLVR Heavy-Washed Long Sleeve Tee shirt is made of stone-washed cotton jersey for a soft, lived-in feel from day one. The classic crewneck t-shirt has a slightly heavy knit with a contrasting nylon patch pocket on the chest. 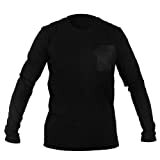 100% Viscose Details: lightweight sweater, solid color, crew neckline, long sleeves, no pockets, ribbed trim. Adidas SLVR Kitt in Infrared White. An Adidas SLVR original. Imported. Women’s shoes.